Key Club at JC had members who were all smiles at today’s meeting (January 10, 2019)… their package of membership pins, certificates, membership cards along with certificates of active membership are now with the school. The Induction Ceremony will be held in two weeks. Celebrating service… One Team. One Club. One Vision. 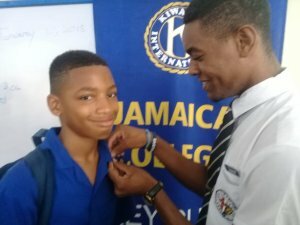 One Jamaica College.